Watch auctions are always excited, but those of Phillips seem to be in a category of their own. This is in part thanks to amazing watches such as the Patek Philippe ref. 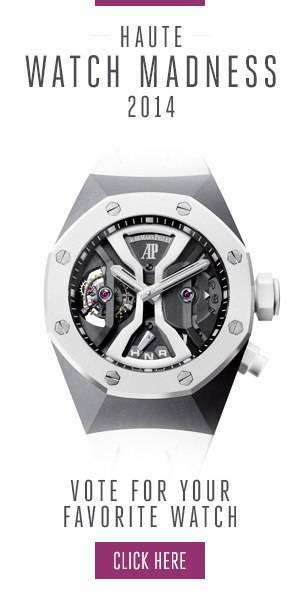 2499, but while watches are these capture the headlines, the auction has much more to offer! Among them are some stunning Cartier’s, including this Tank a Deux Guichets, which is being sold as lot 139. This design originates from 1927, but Cartier only made very few of them, and even in later years the watch only returned occasionally back in the collection. This particular one is from 1997 when Cartier celebrated its 150th anniversary, which is also why this Tank features a ruby cabochon in the crown instead of the usual sapphire. Although understated, the watch is quite precious with its case made of platinum. Fun fact: Duke Ellington used to wear this type of Cartier. One of the reasons why Phillips is so successful is because they are not only able to source and auction the rarest of watches, but are also able to find them in very good condition. This 1959 Jaeger-LeCoultre Deep Sea Alarm has aged very gracefully, with only the hands and bezel markers giving any indication that this is not the re-edition. When it comes to vintage watches, originality and condition is everything, and when you combine that with the rarity of this watch, you get very desirable collector’s pieces. Another collector’s piece is offered as lot No.2. This Omega Cosmic seemed to have been tucked away most of its life, as it couldn’t have been much more pristine when it left the manufacture in 1948. Perhaps it actually stayed there for quite some time, as research by Phillips shows that the watch was most likely a prototype or pre-series of this full calendar watch. While the numerals have aged to a mustard brown, the date hand and date ring are still very bright, creating a marvelous contrast in this pristine watch. All these lots, as well as the rest of them, can be found on the Phillips website.